You are currently browsing the tag archive for the ‘oldest church’ tag. Now that we were suitably prepared, it was time for the Looking For Ghosts team to embark on our first hunt. We figured that a promising starting point would be the City of London itself, known as the “Square Mile”, whose grim and lurid past surely means that thousands of ghosts from centuries past spill out of every church, crypt and alleyway hidden away among the capital’s financial district. 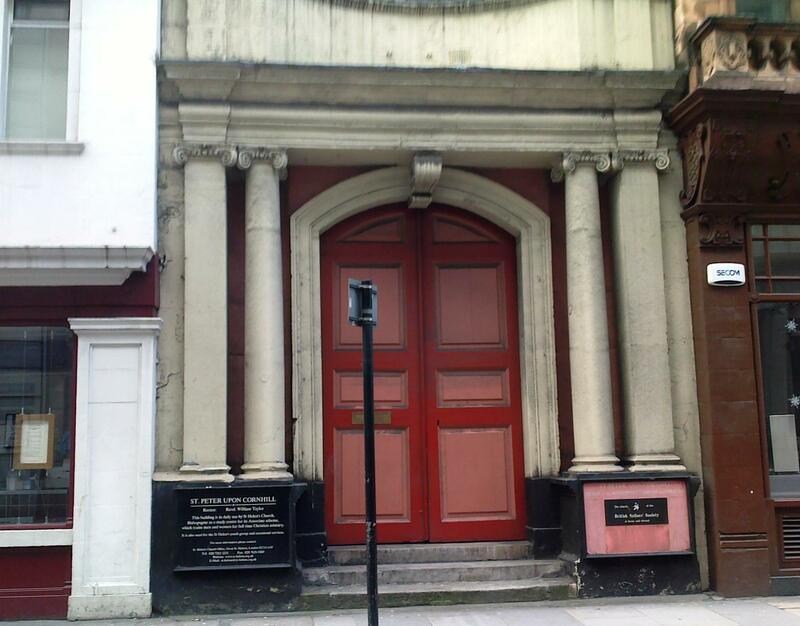 The oldest Christian church in Britain? Possibly. Haunted? No. With this in mind we stumbled across St Peter upon Cornhill, an ancient church curiously nestled between modern city buildings and designer boutiques, and soon discovered it boasts an interesting history. According to an inscription in the churchyard, it is the oldest Christian church in Britain, with the original site founded by King Lucius in 187 AD. Even if this is not the case (several churches in the UK have stated similar claims) the building, re-designed by Christopher Wren in 1687 after the original building was destroyed by the great fire, houses a more provocative tale. The Cornhill Devils - Picture © Knowledge of London. Visit the excellent knowledgeoflondon.com, well worth a look for similar quirky London tales. In the nineteenth century, a vicar at this church noticed that plans for a building next door encroached on to church territory by a slight margin. A bitter legal dispute ensued, with the architect forced to re-draw his plans. 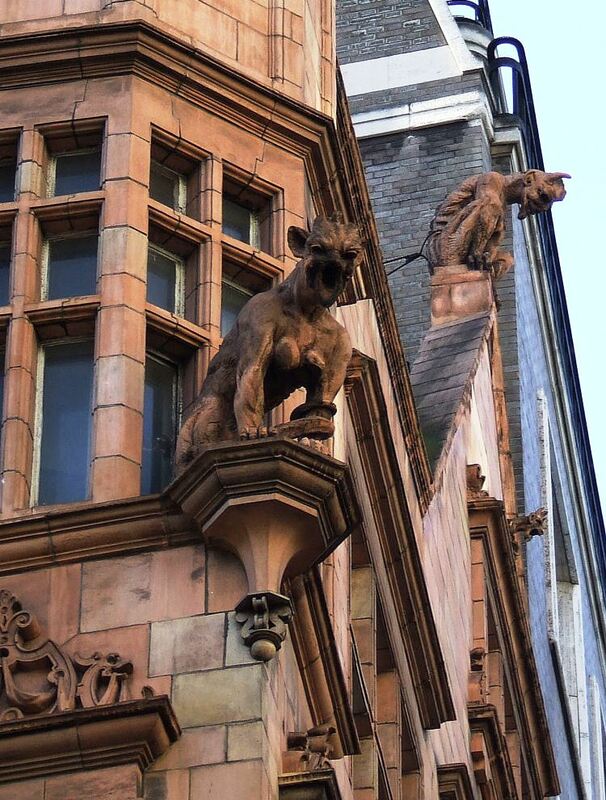 By way of revenge, he added three sinister stone gargoyles to the building to sneer down upon the churchgoers below. The intimidating devil looming over the church door is said to be created in the image of the fastidious vicar (who by all accounts got just what he deserved for being such a kill-joy). Verdict: whilst this building is of some historical significance (and the gargoyles are an unsettling sight on a gloomy Sunday afternoon in a largely deserted city), it’s no more haunted than your average branch of HMV. Ghost count so far stands at a pitiful zero. But we shall continue!